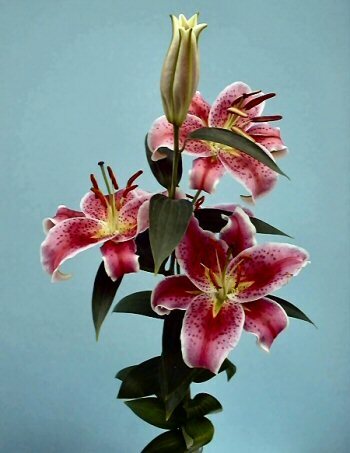 15 bulbs will produce 15 stems with 4 to 6 blooms on each stem. Pixie Stargazer is shorter version of Stargazer. 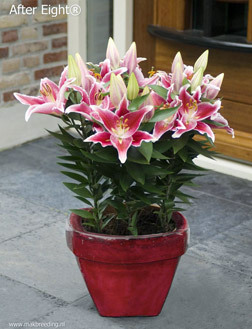 Pixie Stargazer is 18 inches to 2 feet tall, while a “regular” Stargazer reaches a mature height of 6 feet or more. 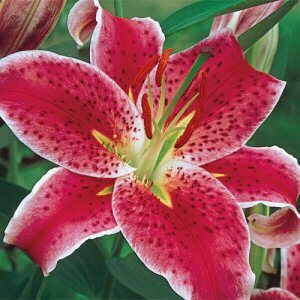 Pixie Stargazer is a deep pink and white, just like a regular Stargazer. 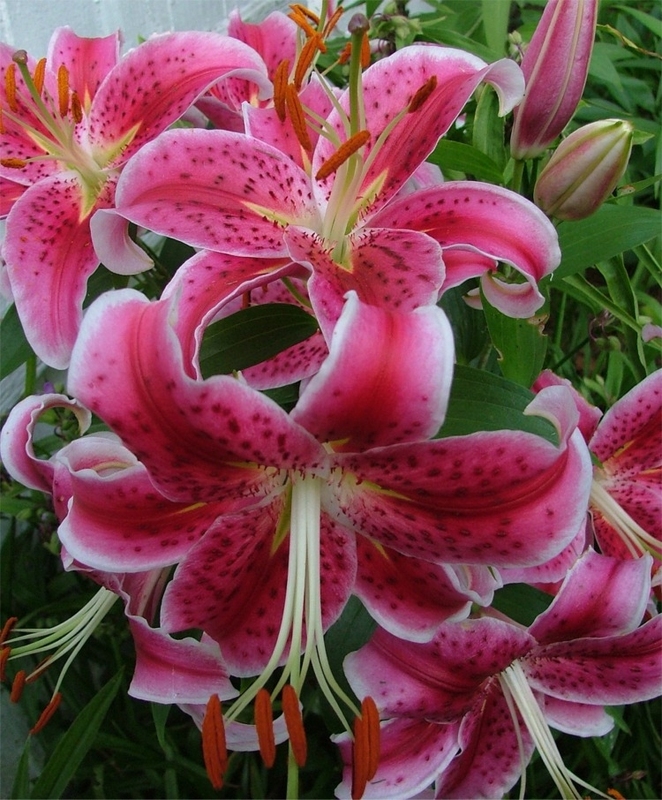 It is a fragrant oriental lily that blooms July into August. It’s a great boarder plant you can use in the front of your garden.